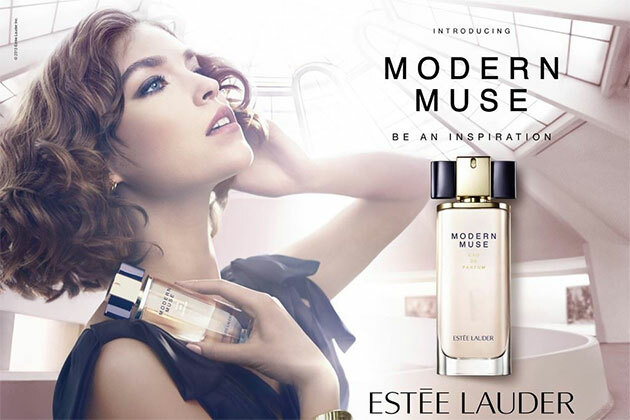 In an effort to reclaim their fragrance legacy, cosmetics brand Estée Lauder is launching a new scent called "Modern Muse," their first new offering in the fragrance category since 2003. If I were a heritage brand with a weakness for facile puns and I was launching a new perfume with the word "Muse" in the title, I would probably do as Lauder did and pull model Arizona Muse to be the face of the campaign. The first glimpse, from the Craig McDean-lensed print ad, appeared in WWD today; a TV spot shot by Stuart Dryburgh is also in the works.